At Make An Entrance we really care about giving good service and strive to treat our customers the way we would want to be treated ourselves, so we make it easy for you to contact us. Email us at help@makeanentrance.com or by completing the form below and we'll get back to you as soon as we can. 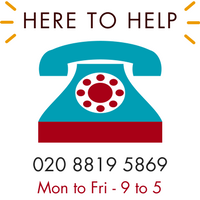 Our lines are open Monday to Friday 9am to 5pm so that you can call us for advice or to place or discuss an order. Our friendly customer service team understand the products and are able to give you advice when you need it. Call us for help and you'll be speaking to Chris, Jill, Anna, Sharon, Stuart, Sam or one of the team, not a faceless call centre.